Chromebooks are a great new tool for getting online from the maker’s of our favorite web browser, Google! These laptops are light, fast, and tend to have great battery life, which means Chromebooks are ideal companions for school or travel. Chromebooks have become immensely capable devices that can accomplish many of the tasks of a traditional PC. Anything you can otherwise do inside the Google Chrome web browser you can do on Chromebooks. That means you can surf the web, check Facebook, email, and watch streaming video. These aren’t just for play, though! With access to the full complement of Google productivity apps like Docs, Sheets, and Slides, you can work when you need to. For everything else, you have access to a cornucopia of apps in the Chrome Store. Recently, Google has given the ability for Chromebooks to run Android apps, as well, so you can have access to any app an Android smartphone or tablet would otherwise run. Where can you buy a Chromebook? 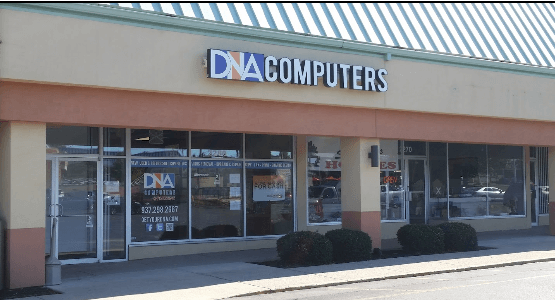 You can buy Chromebooks at DNA Computers, your friendly neighborhood computer store! We sell both used and new Chromebooks, and can order specific models upon request. Visit our store and check out a Chromebook today!